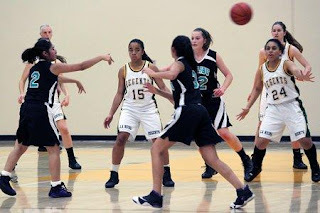 La Reina Blog, News & Updates: VARSITY BASKETBALL PLAYS FOR LEAGUE CHAMPIONSHIP TONIGHT! VARSITY BASKETBALL PLAYS FOR LEAGUE CHAMPIONSHIP TONIGHT! Everyone is invited to come and cheer on our Varsity Basketball Team as they play for the Fronier League Championship vs. Santa Paula tonight! The game starts at 7:00 p.m. and will take place in the La Reina Gym. Go Regents!!!!!!!!!! !